Learners drow pictures of matter all around them and decide what type of matter it is. Students cut pictures of matter or draw pictures of matter for this booklet. 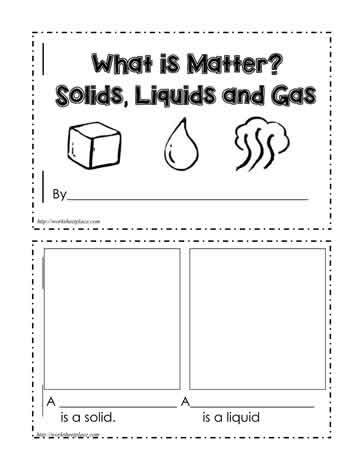 This printable all about matter worksheet is suitable for grade 1 and grade 2 science.